This week, Anusha Roy sat down with Chelsea Avery, a mother who struggled with postpartum depression, and Mental Health Coordinator Shivani Bhatia to talk about how new moms struggling with depression can get the help they need. 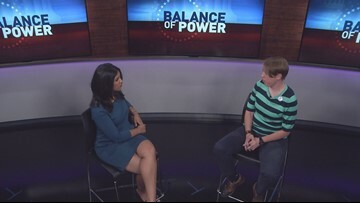 Anusha Roy hosts Balance of Power on Oct. 14, 2018. 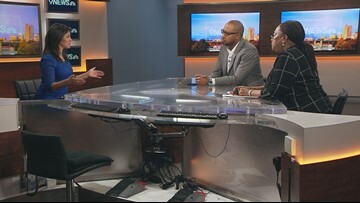 This week, Anusha Roy sat down with Allen Smith, the head of the DPS Culture, Equity & Leadership Team, and Dr. Sharon Bailey, who wrote the Bailey report, to talk about hiring more minority teachers, taking a close look at the curriculum and what other steps DPS is taking to work on this issue. 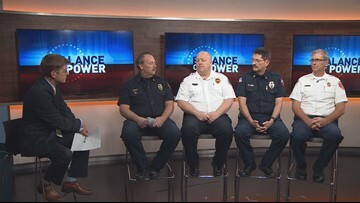 Balance of Power hosted by Anusha Roy on Sept. 9, 2018. Suicide is a hard and sensitive topic to talk about, Dr. Jenna Glover, a children's psychologist with Children's Hospital Colorado, says it's a conversation people shouldn't be afraid to have. September is National Suicide Prevention Month. It's a hard topic to talk about, but Jenna Glover, a children's psychologist with the Children's Hospital Colorado, says it's a conversation people shouldn't be afraid to have. The leadership from both chambers of Colorado's legislature sit down with reporter Brandon Rittiman to discuss the 2018 legislative session and what's next for them personally and professionally. 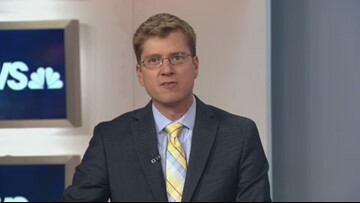 The leadership from both chambers of Colorado's legislature join reporter Brandon Rittiman to talk about the 2018 session and what's next for them. The small-town fire chiefs say budget crunches could cause deaths. 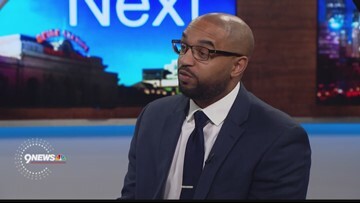 Kyle Clark spoke to Denver's new public works director. Increasingly, nonsense like "crisis actors" is being pushed online. It's the idea that mass shootings don't really happen - and that everyone involved is being paid a pretty penny to fake these events to scare us. What does it mean to make Amazon's not-so-short short list? 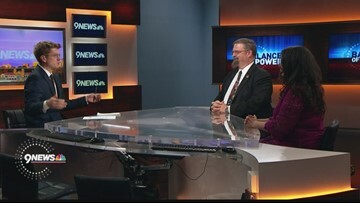 With the Colorado Legislature off and running, 9NEWS political reporter Brandon Rittiman sat down with the leaders of both chambers for this week's Balance of Power.